Getting Stoned … or Getting Out of the Stone Age? When it comes to new and sustainable housing ideas, it seems to always be about creating a more efficient home in terms of insulation, lighting, electricity etc. Mainstream belief on the subject would have you believe that top corporations and government projects are working with the best possible technology to bring forth solutions that work and are going to be great for the environment. If that was truly the case, we can guarantee you that the whole world would be using Hempcrete right now. Haven’t heard of it? … Not too surprised. First off, what is Hempcrete? 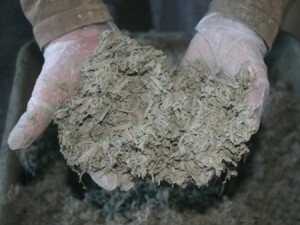 Hempcrete is a building material that incorporates hemp into its mixture. Hempcrete is very versatile as it can be used for wall insulation, flooring, walls, roofing and more. It’s fire-proof, water-proof, and rot-proof as long as it’s above ground. Hempcrete is made from the shive or inside stem of the hemp plant and is then mixed with a lime base binder to create the building material. This mixture creates a negative carbon footprint for those who are concerned with the carbon side of things. It is the worlds strongest building material and is much more versatile, easy to work with and pliable than concrete. In fact, earthquakes cannot crack these structures as they are 3 times more resistant than regular concrete. Since lime is the binding material, and the lime does not need to be heated as much as is necessary in creating concrete, a lot of energy is saved when producing Hempcrete vs. concrete. Jumping back to the carbon aspect, Hempcrete sequesters (hides or puts away) carbon because it is very high in cellulose. During its growing cycle, it takes in large amounts of carbon, which is then built into the structure. This prevents the carbon from being released into the atmosphere. A Hempcrete home can save about 20,000lbs. of carbon. 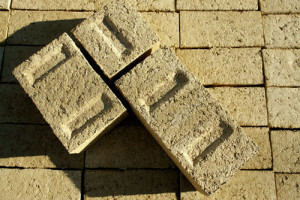 Hempcrete is a superior building material due to the fact that it is a very strong, lightweight and breathable material. When used as exterior walls, it lets moisture in without rotting or damaging the material. In a practical sense, instead of needing to build homes with space between exterior walls, which are then filled with insulation, you can simply use a Hempcrete wall. 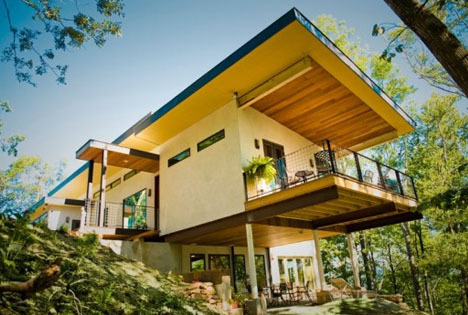 As humidity is absorbed from the external environment, the Hempcrete holds that humidity until it is ready to be released again when the climate is less humid. Over time, the lime used in the matrix seeks to revert to rock, so the material becomes harder and harder until it petrifies completely. This means the wall will last thousands of years vs. 40 – 100 like normal building materials today. Another great aspect to Hempcrete is that if too much is mixed during building, you can return it to the soil as a great fertilizer. Since hemp grows to maturity in just 14 weeks, it is a very powerful, versatile, cheap and sustainable solution. Other notable factors are that hemp crops require no fertilizer, weed killer pesticide or fungicide. The hemp seed can be harvested as a nutritious food rich in Omega-3 oil, amino acids, protein and fiber. It is considered a “super food”. The outer fibers can be used for clothes, paper and numerous everyday items. This truly is a very powerful plant and should be a no-brainer when it comes to it being used in a very mainstream way. You would think that if governments and corporations were truly concerned with resource conservation, ecology, and the massive effects they claim climate change is going to have, they would begin implementing this solution very quickly. They would most likely make hemp legal in the US and start producing this stuff like crazy. But this doesn’t seem to be the case. Are they exaggerating about climate change and how much OUR carbon is affecting it? Or are they so concerned with their massive-profit system that they fear changing things? Either way, something is up here. Next postImagination … Do you have any? Forgot to ask…..any idea of cost when using hempcrete, and is it used anywhere we can see it? If it’s less I may consider it for a drive-way application. It sounds quite durable and won’t leach harmful toxins into the soils like an oil based system. We’re not sure it would be suitable for paving a driveway. The little reading we’ve done indicates it is not intended for below-grade use. According to British experience it is cost-competitive and has been used for ‘social housing’. You can try http://www.hemp-technologies.com/ for more information and links. As you have written we all know of the way hemp is a wonder plant with many many uses. I had no idea about hempcrete…….just another product that makes sense to us but I guess our real dope smoking government is a little clouded by it’s uses. They might be worried that we may start smoking the sidewalks and patios. Pass the clip dude.